YOUR ONE-OF-A-KIND SOLUTION FOR OPTIMIZING YOUR ENVIRONMENT. By giving you the technology that’s easy, smart and works like you do – mobile, configurable and open – we can accelerate innovation and give you the tools you need to move mountains, not just manage them. RESPONSIVE AND INTUITIVE IN EVERY BUSINESS CULTURE. Because we’re SaaS-based, all facilities management data is available in a real-time dashboard with standard benchmarks, KPIs or ad hoc reporting and ready for strategic planning. We give FM’s the confidence to make accurate suggestions to leadership and guidance on how to provide the most effective workspace to the workforce. We built iOFFICE to be as functional as a Toyota, but as innovative as a Tesla. Why? The faster teams can implement and use the software, the faster you reap the rewards of an engaged workforce. unleash the full potential of their business by being with them everywhere they go. Accurate, real-time information in a couple of clicks. o effectively manage space today and for the office of the future, it is critical to understand what type of space exists, how it is used, the frequency of use and what user group is using the space. 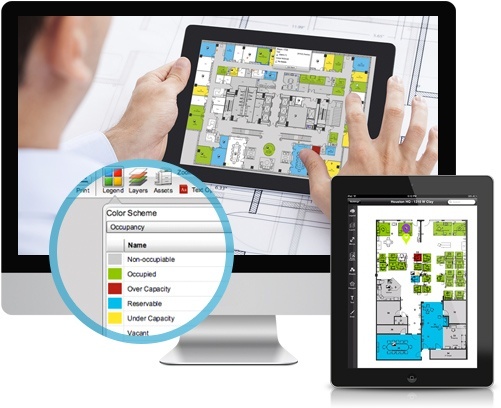 This is difficult and time-consuming if you are using static copies of floor plans that have to be manually updated. Facility Managers need Space Management Software that is easy to use and implement, provides accurate, real-time information in a couple of clicks…and is cost-effective. The iOffice Move Management enables you to coordinate the multiple and varying tasks associated with moving employees and assets across your enterprise. It allows all parties involved in fulfilling the request to receive real-time updates and task lists to facilitate accurate, timely moves, ensuring employee productivity is unaffected. OpenSpace allows your workforce to reserve the type of space they need when they need it resulting in better use of your space assets and more flexibility for your workforce. The room reservation app provides the ability to reserve any type of space via your smartphone, tablet or desktop. 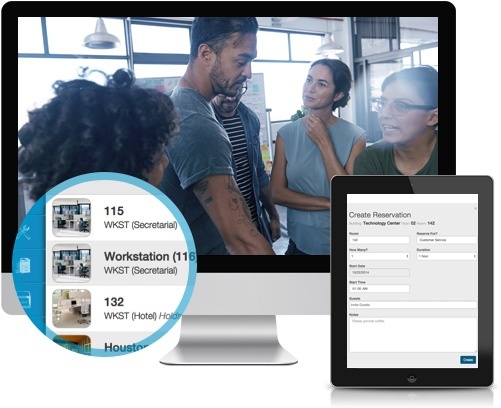 In today's fast-moving work environment, facilities managers need a tool to coordinate on-demand requests and manage scheduled or preventative maintenance tasks for efficient operations. The service request module is a robust tool that interfaces with the many user groups engage with managing your building. In addition, the module provides real time understanding of your operation to enable you to recommend cost-saving strategies. allows your workforce to reserve the type of space they need when they need it resulting in better use of your space assets and more flexibility for your workforce. 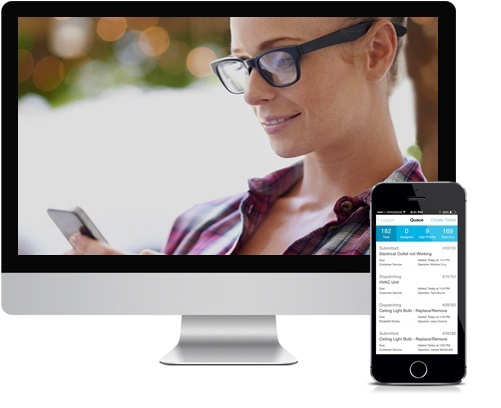 The room reservation app provides the ability to reserve any type of space via your smartphone, tablet or desktop. Asset Tracking provides an online, centralized portal for maintaining any asset type. The asset list is defined by organization. In addition, each asset can be uniquely defined and tracked based on the information the organization deems critical to its business processes. The iOffice web-based asset tracking software allows an unlimited number of assets, an unlimited number of asset types and an unlimited number of fields per asset definition. Our solutions are designed to meet the unique needs of each operation. The iOffice Mail Tracking System automates tracking of mail and packages after they reach the mail center. Items are quickly scanned and recipient data is captured via mobile computing devices. This system ensures full accountability of items through delivery to the recipient. Once delivered, all transaction data is archived to history, but is readily available via online search. 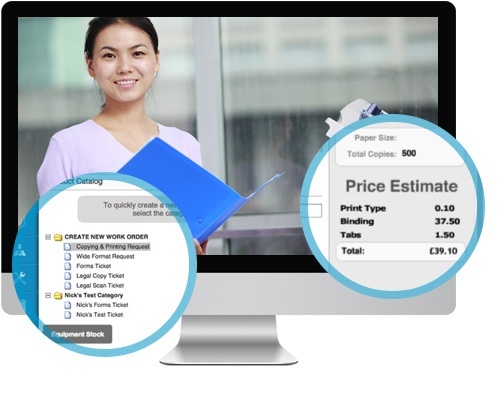 For organizations that maintain centralized printing facilities, the need to receive requests and track the requests through production and billing is critical for maintaining efficient, high-quality print operations. The Copy Module establishes an on-line presence for your copy center. End users can access a dynamic form, from anywhere, which allows them to submit requests, attach electronic files for production, and seamlessly monitor job status. iOffice Inventory Tracking provides the flexibility to allow the customer to define the type of items to be tracked and the format in which the application is used either for operations only or a combination of operations and the end-user population. 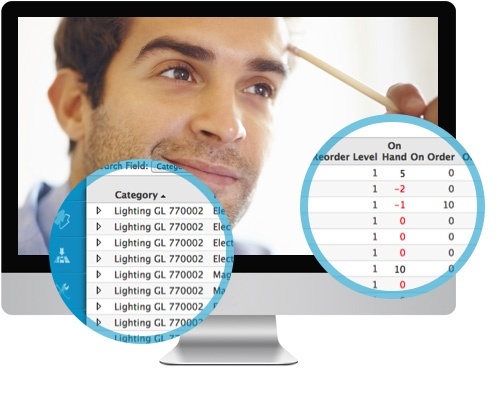 Regardless of item type and functional format, the system allows for tracking of items, the current on-hand quantity and cost; items that are on order from the provider and items requested by the workforce. 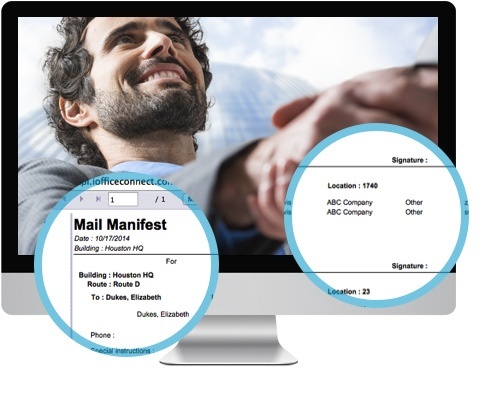 With iOffice Visitor Management, visitors can scan their driver’s license or simply input the required information. 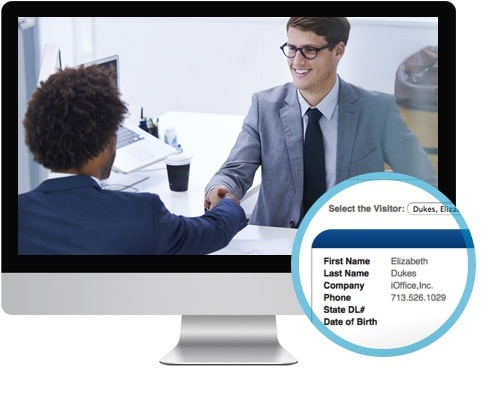 As soon as the visitor is registered, a date-stamped badge can print and an email notification can be automatically sent to the host for visitor notification. The visitor information is maintained in a series of queue’s based on the visitor status and once signed out the visitor data is archived online for immediate access. 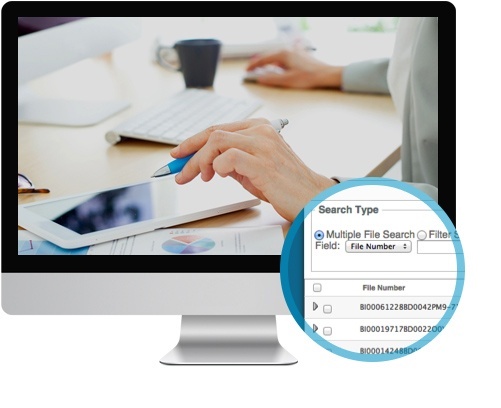 The iOffice File Tracking System allows you to easily check-in and check-out files with a barcode scan automatically updating current status of ownership. Location and files definitions are unique to the organization. The file-tracking system can be used to satisfy end user requests for file delivery and pick up or in a kiosk mode for end user self check-in and out.